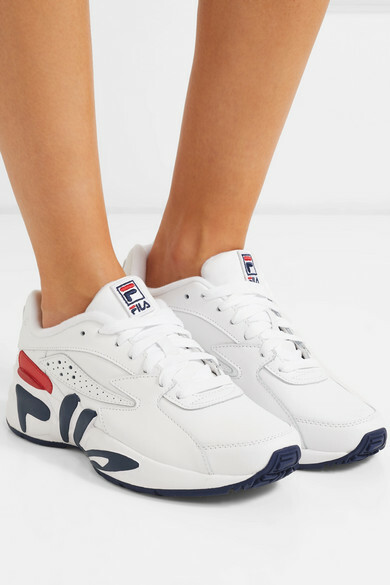 Fila's latest sneakers are modeled after the original 'Mindblower' style first released in 1995. 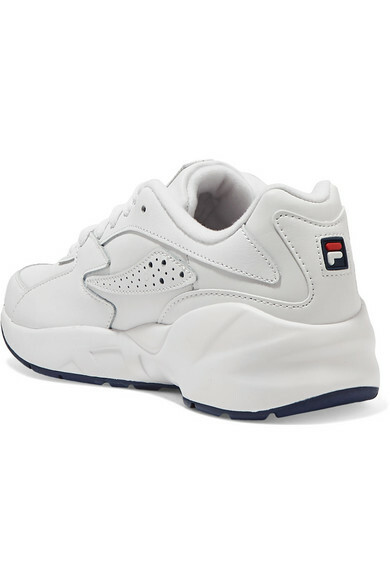 This version is made from pristine white leather and set on a chunky rubber sole decorated with oversized logos. 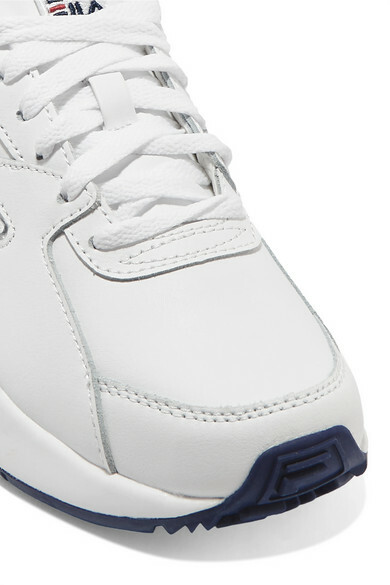 Pair yours with mini skirts or cropped pants. 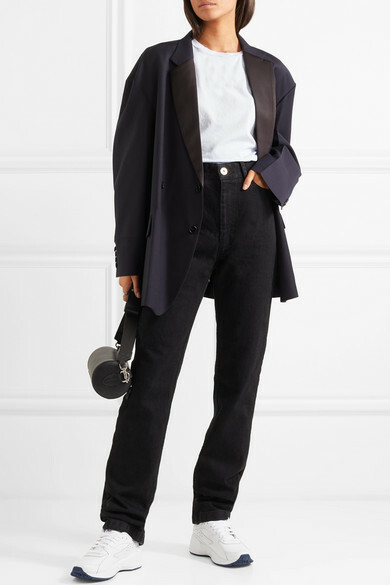 Shown here with: we11done Blazer, Bassike T-shirt, Matthew Adams Dolan Jeans, Burberry Shoulder bag, Sophie Buhai Ring.